Come visit the little Michigan town where community, connection and comfort are what drives the people of Madison Creek who have big dreams and big hearts. ​You'll want to return again and again. Experience the sweetness of The Lavender Vale Farm, nestled in the Texas Hill country in a town called Thistle. ​where romance blooms during every season. If you love reading about the rich and famous and enjoy a fairytale twist, then join the Grimwood siblings as they attempt to meet the terms of their deceased father's trust or lose their allotted inheritance. Along the way, they find love, faith, and things that money just can't buy. Keep up with new releases, special offers, and other news in Jackie Castle's Storyworld by signing up for her weekly newsletter. 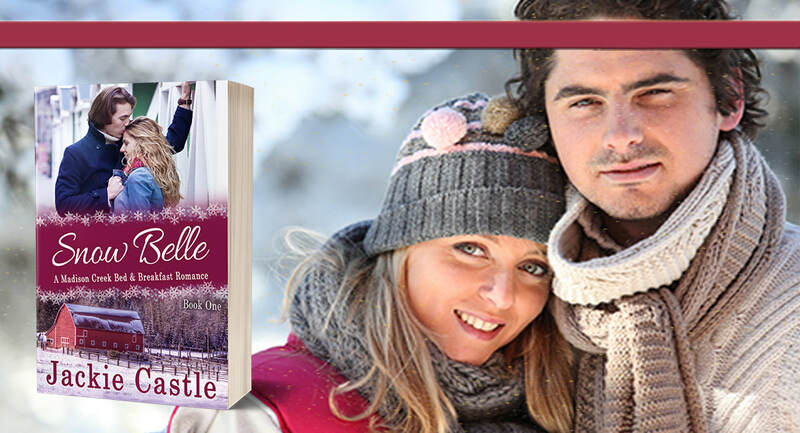 Get the first book of Madison Creek's B&B series: Snow Belle for free when you sign up. Get your free copy when you sign up!